Advance copies of my book have just arrived! It feels fantastic to actually hold the book in my hands, smell the ink and feel the paper. Just one month to go now before publication, which is both exciting and scary. Writing, pitching and getting a book published has been a steep learning curve. I’ve been lucky to have had the encouragement and expertise of author/editor colleagues and friends, but also the support of a great publisher, Bradt. 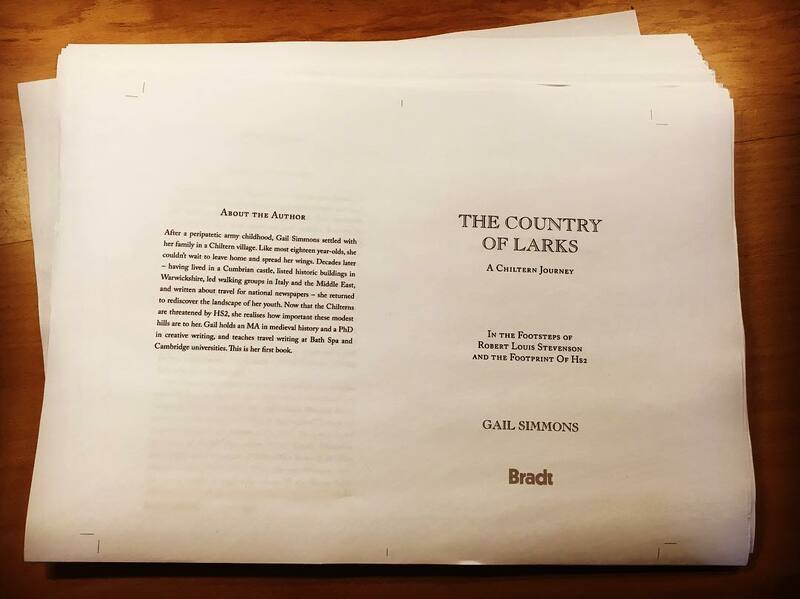 Best known for their travel guides, Bradt also publish a selection of travel literature (a category which The Country of Larks falls into), and have taken enormous care over the editing and production of my book. Can you judge a book by its cover? 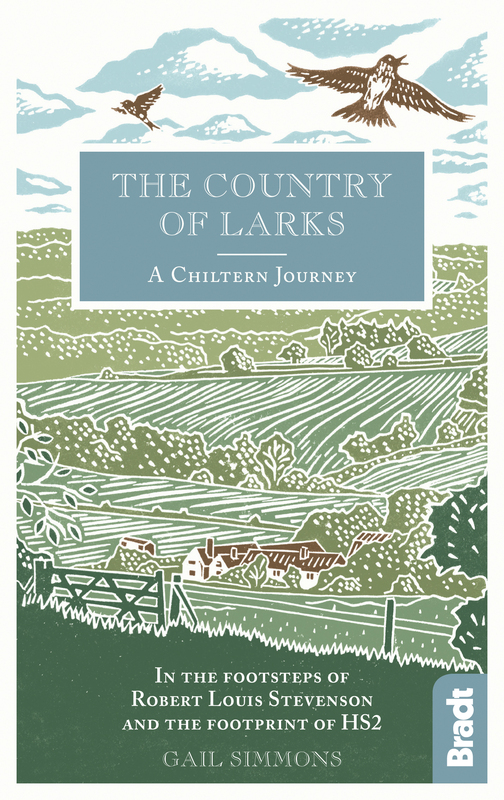 I very much hope so, as the cover of my forthcoming book (published by Bradt in April), with linocut artwork by the very talented James Green Printworks captures the Chilterns beautifully. 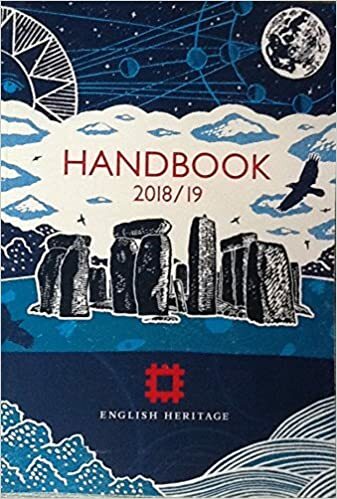 I found James after I saw the gorgeous cover he did for this year’s edition of the English Heritage handbook, and happily Bradt agreed to commissioned him. My book has also also magically appeared on Amazon and is now available for pre-order. It’s all becoming frighteningly real! I’m delighted that my first proper book, a travel narrative about the Chilterns — a blend of travel, history, politics and nature — will be published next spring by Bradt . After a peripatetic early childhood our family settled in a Chiltern commuter village on the borders of Buckinghamshire and Hertfordshire. Although aged eighteen I couldn’t wait to leave, I have recently rediscovered the quiet allure of the hills and dells of my youth. I may have left long ago, but the Chilterns still matter to me. 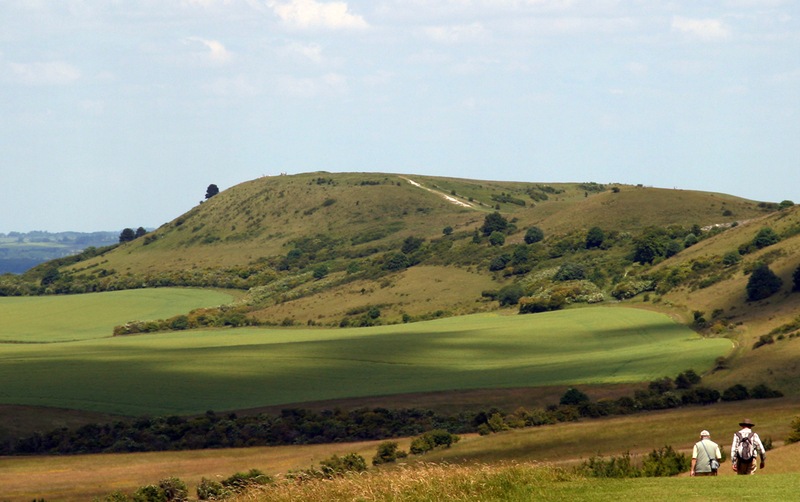 Ivinghoe Beacon seen from The Ridgeway. I’m just back from teaching a residential course for Bath Spa University’s MA in Travel & Nature Writing in Valencia province, Spain. We stayed in the lovely mountain village of Sella, where we spent a week exploring the local countryside and culture – and writing about it! Here’s a photo of the group hard at work, with Sella in the background. If you’d like to learn more about the MA you can read about it here. See you in Spain next year?